What an amazing fungi season it’s been! Much variety and lots of them. After a slow start, winter finally arrived with lots of rain on the west coast here in WA. It’s an exciting time for Fungimap too. At our AGM in May 2018, our inaugural and long-serving President, Dr Tom May handed over the role of Fungimap President to me, so it’s time to introduce myself, Roz Hart as the new Fungimap President. We expect there will be some changes with me based in Perth, Western Australia, and Jasmin Packer, Vice President based in Adelaide -what a great demonstration that we are truly an Australia wide organisation. I’ve been intrigued by and interested in fungi as long as I can remember. I remember noticing and enjoying fungi in the Boranup forest when caving as a University student many years ago and I have friends from that time that I still share my fungi passion with. I’m a microbiologist, trained at UWA and I taught Microbiology at UWA for some years before becoming an environmental consultant specialising in dieback surveys. My other interests include Permaculture, edible bush food, bushwalking, caving, young Naturalists, dogs, and many other varied interests too numerous to put here. I’ve been President of the WA Naturalists’ Club, and worked as Community education officer with the Perth Urban Bushland Fungi Project for 8 years. I’m currently a volunteer Kings Park Guide, teaching my fellow guides about Fungi and their importance to the environment. My aims for Fungimap are that the national group, Fungimap (Inc) will continue to connect those of us who value and appreciate fungi, providing us with field opportunities and educational experiences that otherwise we might not have access to. Certainly for those who have great local fungi but are isolated from mycologists we value chances to interact with others with similar interests. Victoria and Qld are now the only states employing mycologists, WA has lost our two with government cutbacks to Science. I joined Fungimap in 1999, after hearing about this exciting new ‘fungimapping’ organisation from Katie Syme in Denmark and Alan Notley in Perth. I attended the first Fungimap Conference , in Denmark, Western Australia (2001) , organised by Katrina Syme and her many helpers. This set the model for the 7 wonderful biennial conferences that followed. 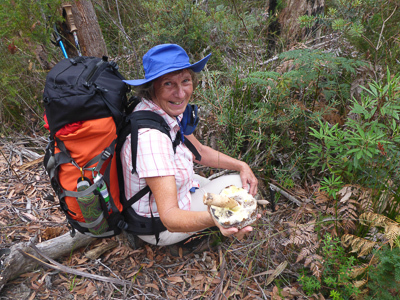 Following the first conference, fungi enthusiasts in WA were inspired to form the Fungi Study Group within the WA Naturalists Club Group, which organises many great fungi trips, workshops and forays. I am fortunate to have Fungimap friends all over Australia. I have been on the Fungimap Committee since 2014 as Vice President. I have participated in several Fungimap strategic planning days and have greatly valued the interactions that Fungimap has provided me. Participating from WA has given me what I trust will be a helpful and different perspective. Certainly WA Fungimap members miss the inspiring Fungimap conferences but Fungimap no longer has the resources to organise and run these at the minimal cost and maximum educational basis that was so valued. The good news is the Victorian Government CVA grant that Fungimap received this year to raise awareness of the importance of Fungi across Victorian and look for ‘lost fungi’ which are likely rare, and threatened fungi on which we have little data. We hope that by working with fungi and environmental groups around the country that we can continue our aims of educating people about the importance of fungi. Fungimap wishes to continue to encourage regional groups to hold their own activities and have Fungimap central assist in whatever ways we can, be it posters, brochures or providing expertise with attendance of mycologists. This model has successfully worked for a couple of years with groups from Adelaide and the Adelaide Hills and most recently with events in Manjimup in south-west WA. The committee wants come up with ways to engage supporters of Fungimap, which is why we now have the monthly e-news to keep you informed. 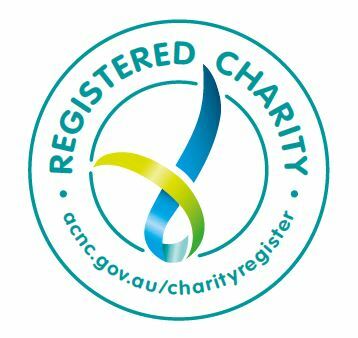 We are working towards a model of inspiring supporters as well as members, where supporters give us regular donations. Our member base has not grown so we now have so little money for operations that we have been forced to reduce the coordinators hours, which I feel is a move in the wrong direction. I’m also greatly in favour of retaining our bookshop which gives us all access to valuable Australian Fungi publications. Thus, we are very committed to producing Fungi Down Under 2, as the initial Fungimap book of Target species has been of great value. We all want the new double-the-number of fungi version to come out soon. Relieving Tom of his presidential duties so he can concentrate on producing FDU2 is one of my objectives. Lyn Allison, who is on the Fungimap committee, has done a great job this year revamping our website and making it much more useful and friendly. A big thank you to Lyn, recognising the time and effort she put in. 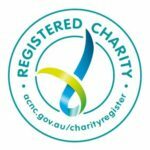 Please visit at https://fungimap.org.au/. Lyn and Tom have applied for several grants in an effort to boost our working funds, we are waiting to hear but money is certainly thin on the ground at the moment. None the less I intend that Fungimap will continue to raise awareness of Fungi in government circles and advocate for inclusion of Fungi in Biodiversity planning at all levels of government and land management. How did I come into to be President? After all Fungimap is Tom’s creation: a mapping scheme that has grown into a national organisation. Tom has been President since Fungimap started in 1996, for 22 years. That’s an inspiring, amazing commitment. I would like to thank Tom for all his efforts which have given our communities a greater awareness of the importance of Australian Fungi. I know that a great many others have been inspired to work hard over these two decades with Tom to make Fungimap Australia’s national Not-for-Profit that advocates for Fungi. I trust that by working together, Fungimap can continue with a shared vision to support everyone to be advocates for fungi. In an era of fast changing technology, as an organisation we need to adapt to constantly altering circumstances. This is something where we can and need to help each other. I invite you to contact me to discuss your ideas of how Fungimap can help or work with you in your local area to help raise awareness of fungi.